Our range of pool testers is a pool care system that enable the operators to find out the disinfection level in the pool. After the test is completed, its cleaning accessories are used to control these two parameters. The pool test and cleaning kit includes telescopic pole, basic PG & CI test kit and jim buoy thermometer with string. 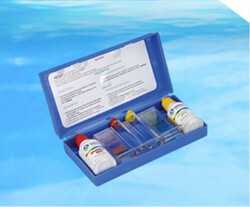 We offer Pool Water Test Kit. Use for day to day checking and recording of ph and chlorine level of pool water is a must. We recommend using latest technology test kits of tablet type which are very popular abroad and give accurate and quick readouts. Austin’s Swimming Pool Testing Kit are used to check the Chlorine and Ph levels of Swimming Pool Water. This ensures that proper action can be taken if the chlorine or ph levels are not proper. Components Included: Phenol, OTO etc. 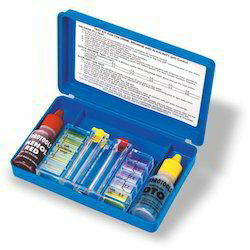 Counted among the well-known companies, we are betrothed in providing Pool Testing Kit.